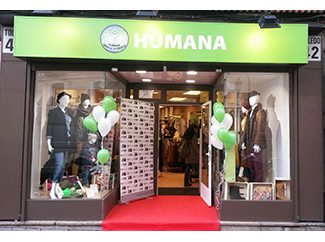 Humana opens new sustainable fashion store in Madrid, on Calle de Toledo, 42, in the neighborhood of La Latina. It has 250 square meters of retail space on two floors capable of accommodating 6,000 garments. With this new store the Foundation makes available to customers in the area the best selection of secondhand fashion for the whole family and a wide range of home textiles, all at a great value. 8,000 hangers with the establishment which has been donated by iWarda Professional, specializing in scanning product for E-commerce company. Since 1987 the Foundation developed a specialized preparation for reuse model. It promotes thus the second life of the garment as a pillar of sustainable fashion. Because there is no more sustainable garment that is already made. 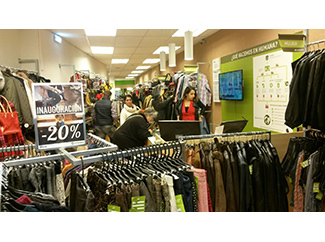 The store network is essential in this task of promoting reuse. Along with the 18 establishments in Madrid, Humana also has 15 outlets in Barcelona, ? ?Seville and 2 in 2 in Granada.